This week is a busy (but exciting) one. 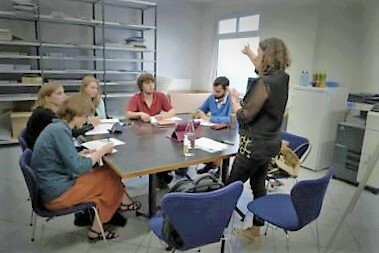 The museum is hosting the European Summer University for Jewish Studies,¹ an event that brings together students and lecturers from across Europe and the world for a week of lessons and seminars. The theme this summer is “Jüdische Heimstädte. Jerusalem und andere Jerusalems”—a discussion of Jerusalem, based not only in the city’s role as a Jewish homeland, but on other notions of the city across spatial and temporal differences. 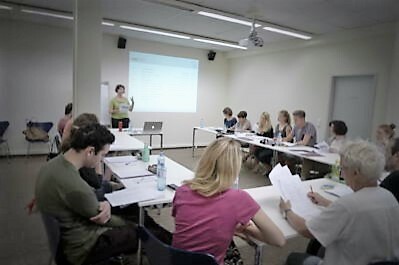 The summer university is a cooperative effort between the Jewish Museum Hohenems and universities in Bamberg, Basel, Munich, Salzburg, Vienna and Zürich. 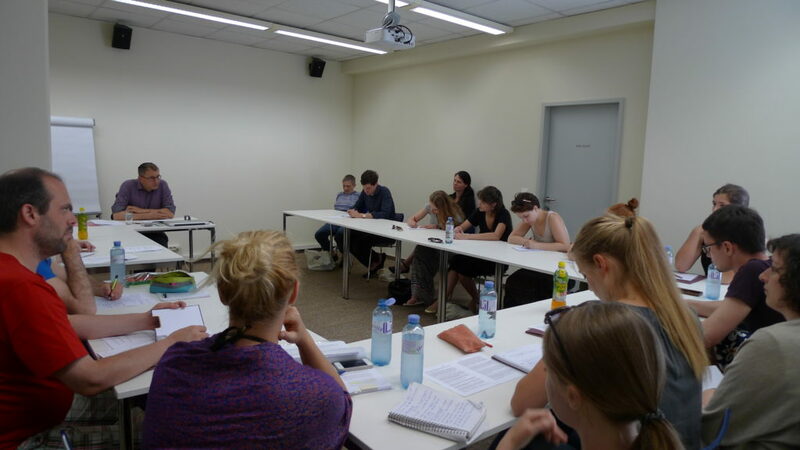 Participants engage in a workshop on Yiddish by Evita Wiecki of the University of Munich. 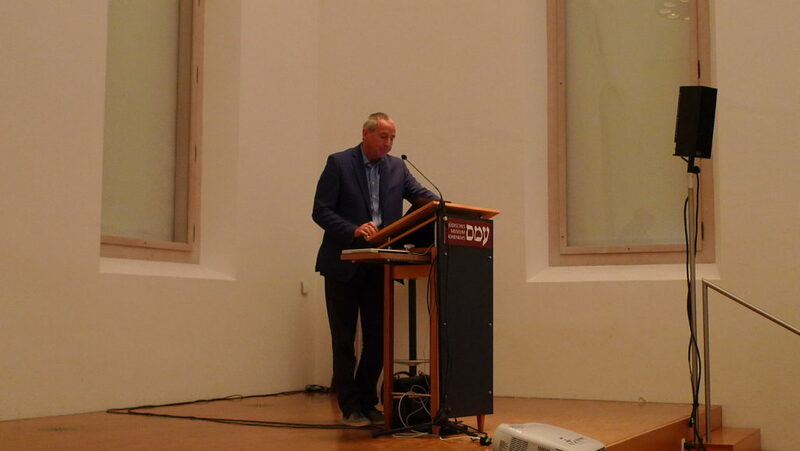 Dr. Gerhard Langer, of the University of Vienna, speaks in the Salomon Sulzer Saal. Students immersed in a lecture. 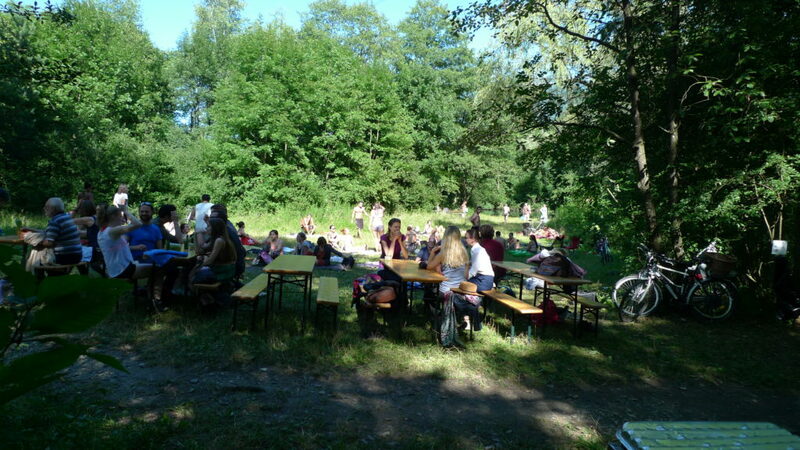 Participants gathered for a welcoming barbecue at the Alter Rhein on Monday. 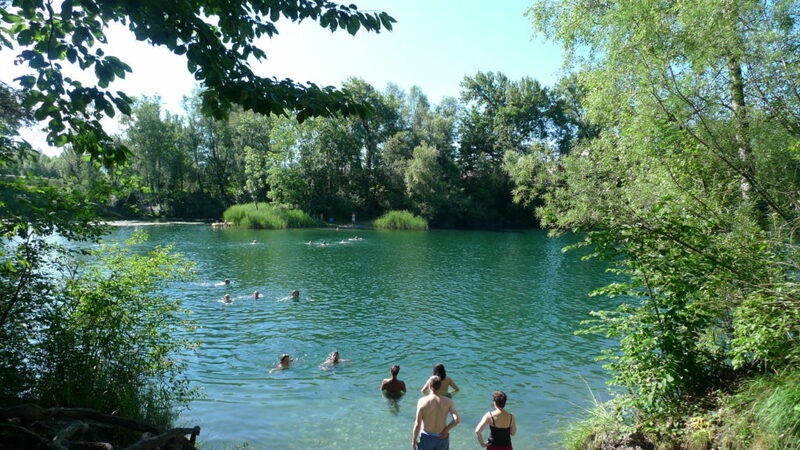 A visit to Hohenems at this time of year wouldn’t be complete without a dip in the Alter Rhein. Many participants are returners, some even for a third or fourth time. The university therefore gives them an opportunity to reunite with old friends and colleagues, while also encountering new perspectives. After uncertain weather for most of the summer, it’s also been a beautiful week in Hohenems. For those interested in Jewish history and Jewish studies, there is no better place to be. ¹ In German, it’s the Europäische Sommeruniversität für Jüdische Studien, which is often shortened to Sommeruni. ² For anyone familiar with the academic circles of Jewish studies, a listing of lectures is available here. Eric Billes on Purim celebration in Hohenems? Purim in Hohenems!